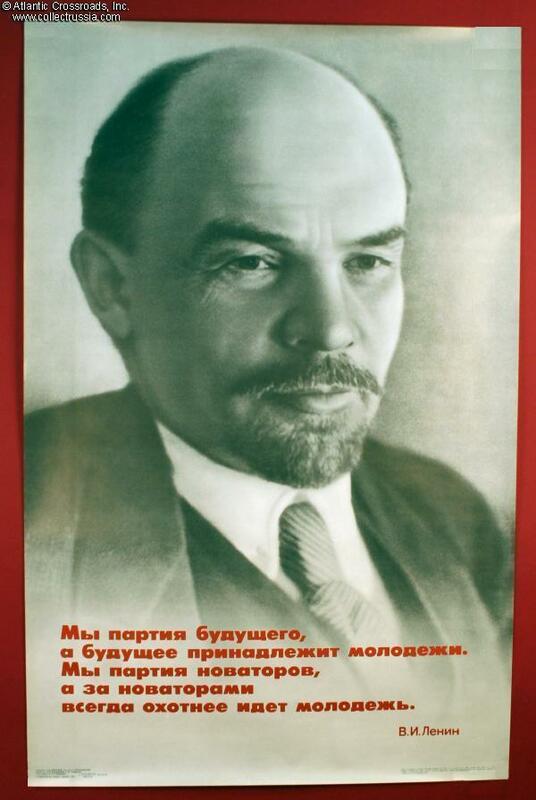 Poster features first portrait of Lenin taken immediately after the October Revolution. 1986. 22" x 34 1/8". 1986. Quotation reads: "We are a party of the future and the future belongs to young people; we are a party of innovators and young people always follow innovators more willingly."